Big Finish has announced that a seventh series of audio adventures featuring the UNIT team will be released in November. UNIT: Revisitations will see the team attempting to deal with the fallout of the events of the previous series – UNIT: Cyber-Reality – whilst confronting even more threats to humanity. The new set of adventures will feature some faces familiar to the Doctor Who universe, with UNIT set to face off against the Wirrn (1975’s The Ark in Space), and Pik-Sen Lim reprising her role as Chin Lee (1971’s The Mind of Evil). Returning for the latest series is Jemma Redgrave as UNIT’s leader, Kate Stewart, alongside Ingrid Oliver as the organisation’s scientific advisor, Osgood. Joining the pair once more are UNIT series regulars James Joyce (Captain Josh Carter) and Ramon Tikaram (Colonel Shindi). 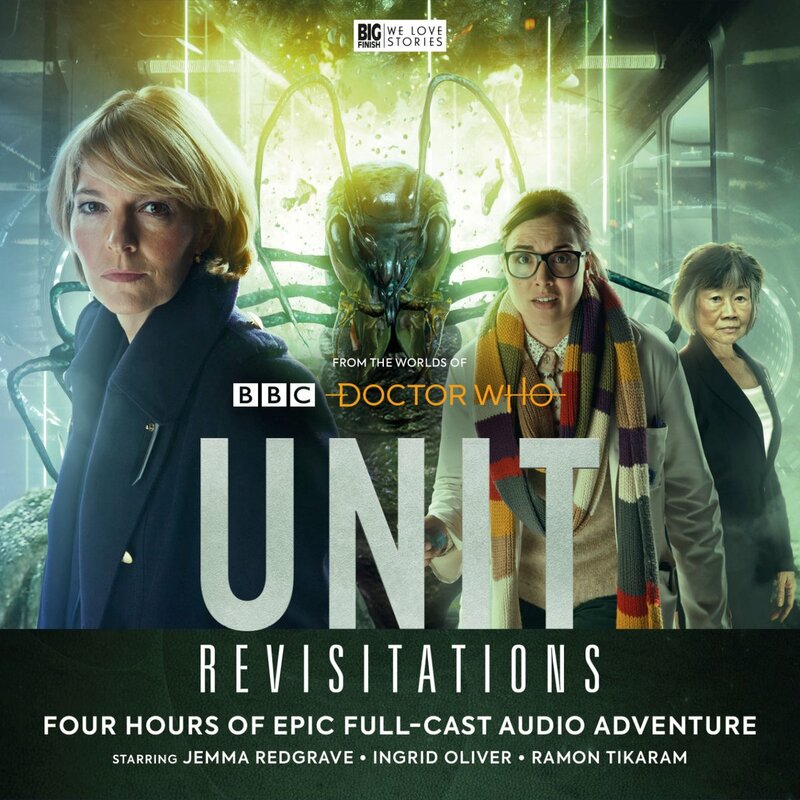 UNIT: Revisitations is now available to pre-order from Big Finish at £23 on CD and £20 on digital download. The seventh series is also available to pre-order in a bundle which also includes a pre-order for next year’s eighth series (out May 2019) as well as the already-released fifth and sixth series; this is available at £90 on CD and £80 on digital download. All previous series of UNIT are available to purchase via the Big Finish site.